Over the course of their decade long career (and counting) in real estate, Ahuja and Anand Buildwell Pvt Ltd, one of the bidding names in the list of developer’s in Delhi-NCR, has created landmark commercial ventures that defined the metropolis. For Noida alone, the group had developed the marvelous Corenthum and i-thum. 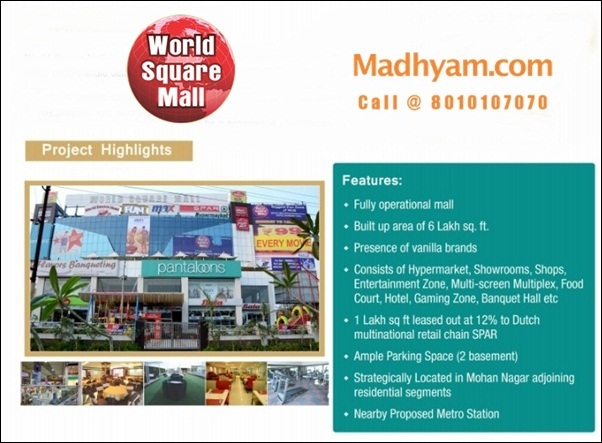 In Ghaziabad, their efforts came fruitful with the launch of the true family mall World Square Mall in Mohan Nagar. Having over 6 Lakh sq ft of build up area, World Square Mall arrived with the perfect solution for dining, shopping and entertainment for people hailing from Indirapuram, Surya Nagar, Vasundhara, Vaishali, Vivek Nagar, Dilshad Garden and Rajender Nagar. Overlooking the upcoming metro station, with excellent modes of road connectivity, the project has made dedicated attempts to supersede the expectations for people and rightly so. A careful juxtaposition of spaces for world class shopping, fashion, dining, kids zone, multiplexes, banquet and hotel services has plunged World Square Mall into the spotlight as one of the much sought after commercial destinies in the city. With the presence of vanilla brands, including the globes biggest food retail chain SPAR, a multiplex where over 1000 people can be hosted at a time, World Square Mall Ghaziabad is one of the beautifully conceived projects of the present day. Come home to a well ordered and executed modern day creations, conceived in a clean and hassle free environment with modern day finishes. The portfolio of the tenants associated with the group has ballooned by earlier projects. Owing to the proven track record of the developers, this time over 80 percent of the coveted spaces have already been leased by business heavyweights with astonishing returns and longest of lease guarantees at World Square Mall. The project is the single operating mall in the region promising 12 percent assured returns with a long lease guarantee upto 25 years, making waves in the property market. For those who want to invest in commercial ventures, here is the best opportunity to grow and scale up your investment portfolio. 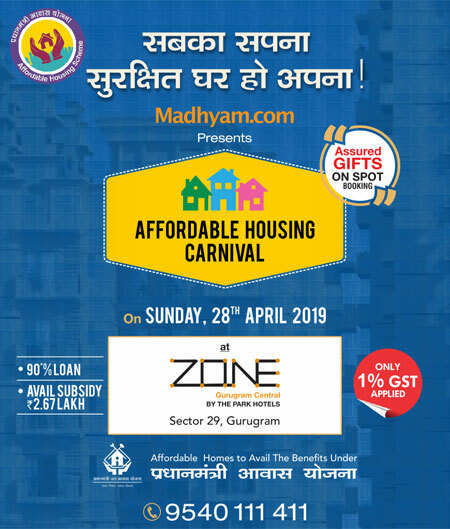 The major factor of Ghaziabad is its cultural diversity and collaboration, with various segments of people residing and World Square Mall arrives as the best preferred destination in Mohan Nagar, Ghaziabad.